The Garrison Artillery Volunteers are a volunteer hobby group whose passion is the Royal Regiment of Artillery, and who undertake displays depicting various aspects of life in the Royal Artillery during the twentieth century. We are proud to have General The Lord Richards of Herstmonceux GCB CBE DSO as our Patron and the Late Jonathan Catton as our founder. The Gunnery sub section concentrates its efforts on portraying three Royal Artillery Batteries: 489 Bty, 124th (Northumbrian) Field Regiment RA (TA); 822 Bty 25th Light Anti- Aircraft Regiment RA; both of which were in 50th Tyne Tees Division. The Garrison has also displayed scenarios of the Royal Artillery outside of the European Theatre. The group's Far East of the 1st Bty (The Blazers), 28th Jungle Field Regiment RA, was recreated in St Jame's Park. Whilst for the Maltese Artillery Regiment, we recreated the 12th Field Regiment RA and 4th Searchlight Regiment RA during a visit to Malta in 2006. More recently the group has begun to expand beyond the chronological limits of the Second World War. 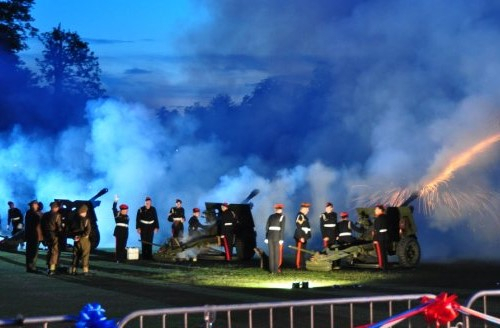 The acquisition in 2012 of an 18-pounder field gun has allowed the Garrison to put on First World War displays. 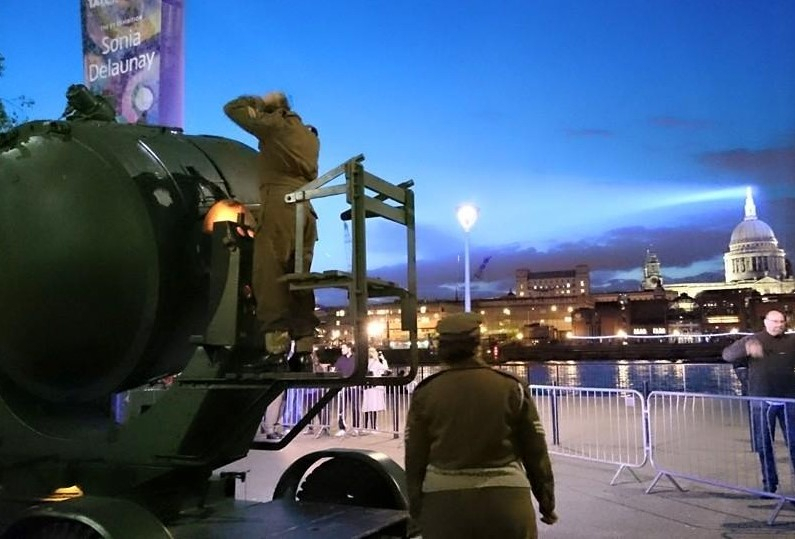 Also in 2012, as part of the Jubilee celebrations, we did our first post-war field gun display, representing a National Service era artillery troop circa 1952. The Anti-Aircraft section of the Group has recently acquired a 3.7 Anti-Aircraft gun and this is used in combination with other equipment such as the 150 cm searchlight to portray Ack Ack command either as home front or abroad. This section of the group portray the 301 Bty, 93rd (Mixed) Searchlight Regiment RA (TA), part of Ack Ack Command. 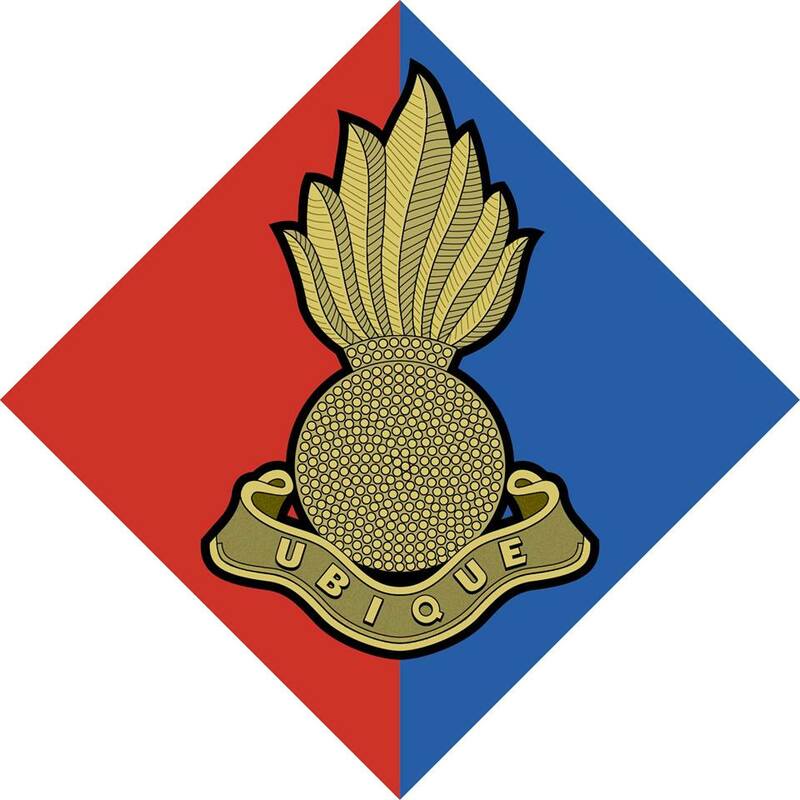 A regiment that made history in the British Army for being the only predominately female regiment. 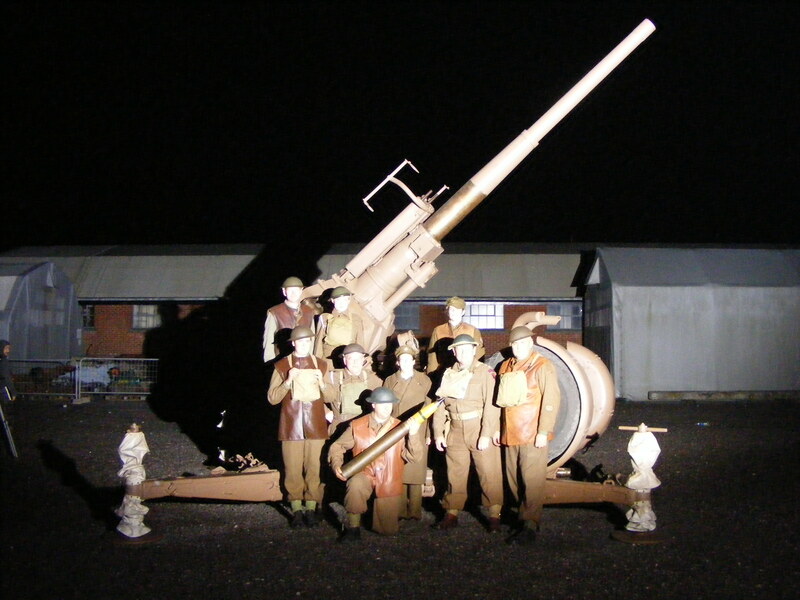 In 2005 the group arranged for the first regimental reunion of the 93rd where the restored searchlight and generator were unveiled to the veterans. The searchlight is the only 150cm carbon arc projector in Britain that is in full working condition complete with the Lister generator to run it. Portraying an operations room complete with a full size plotting table. 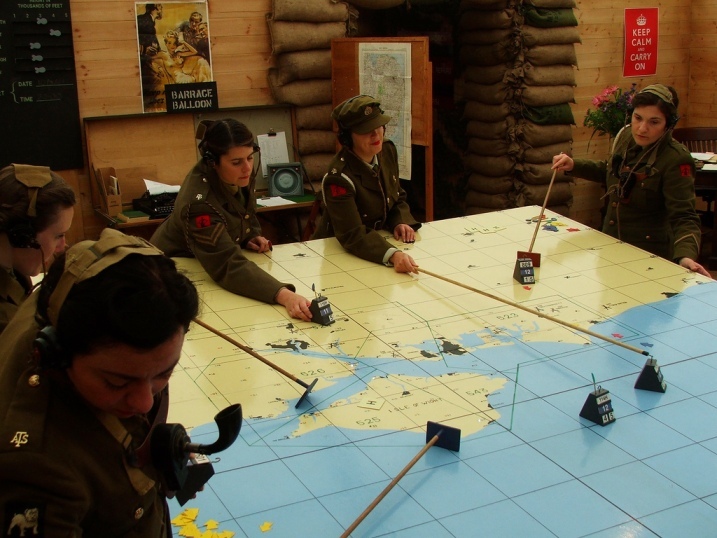 Our scenario covers the three services of Royal Navy, Army (Royal Artillery) and RAF. The plotting table depicts Portsmouth and the surrounding and how the organisation of incoming information into an accurate picture led to effective use of Ack Ack during air raids. We are proud to have taken part in many ceremonial events for military and civilian charities, museums, the British Armed Forces and corporate events. These include Gun Salutes, Fue to Joi, accompaniment to outside orchestra and concert events, parades and Remembrance, prestigious birthdays or jubillees and high profile Race starts. 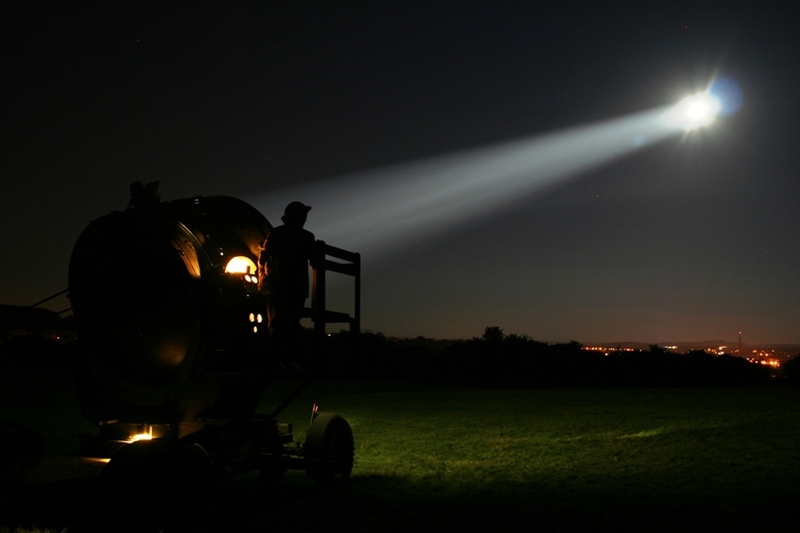 These events could make use of a single or multiple guns and/or a genuine WW2 large anti-aircraft searchlight. 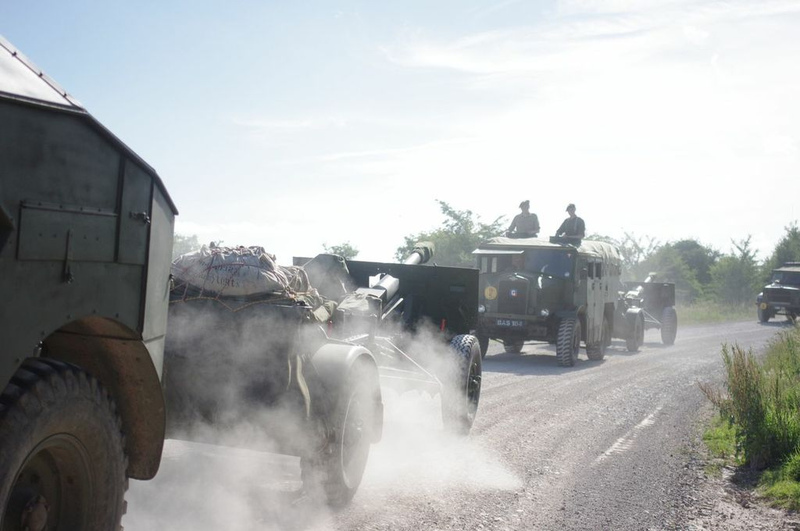 We have taken part in many television shows and documentary programmes where our authenticity and historical knowledge has been put to good use; and have featured in movies where our accurate portrayal, bearing and demeanour enhances a scene. We provide our guns and equipment, trained and experienced personnel, uniforms and accoutrements. Please contact our Events Team for more information and quotes. The Garrison Artillery Volunteers (GAV) was founded over 30 years ago in the 1980s to promote the understanding and interpretation of the UKs wartime coastal defences. The group soon found itself branching out into Field and Anti Aircraft Artillery, including a searchlight section. The GAV are a group of likeminded volunteers whose aims are to rediscover and learn all aspects of the technical side of the gunners of the 20th Century; to demonstrate the equipment and the skills of both the male and female gunners; to pass on this knowledge in educational demonstrations; to keep the memories and skills of the past alive for future generations. The GAV is truly a national organisation with members from North Yorkshire to the South Coast and the East Coast to Devon. The GAV also has sections in the Czech Republic, Belgium and Malta. The main base is now in and around Salisbury Plain in Wiltshire, with a large section in Yorkshire-Lancashire and smaller sections in Bristol and Essex. This regional structure - supplemented by other members from other parts of the country, provides the group with the flexibility to put on numerous small local events as well as coming together for much bigger events when required.